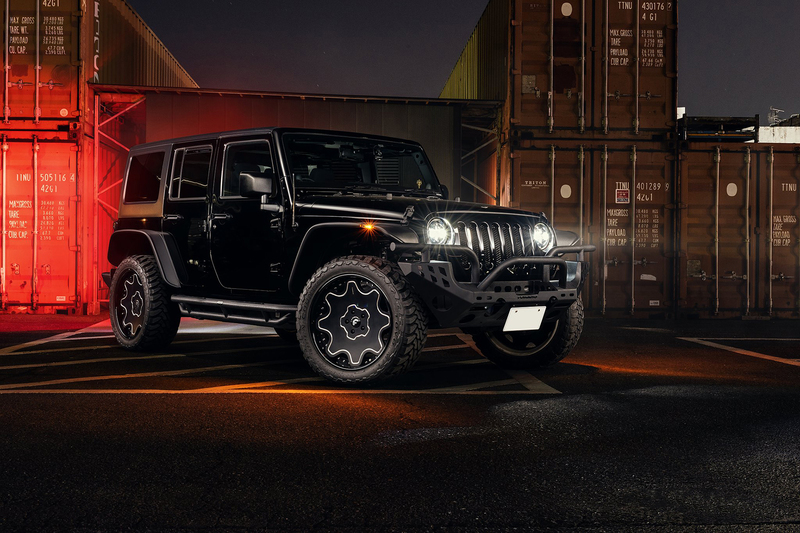 There’s really no incorrect approach when customizing a Jeep Wrangler. 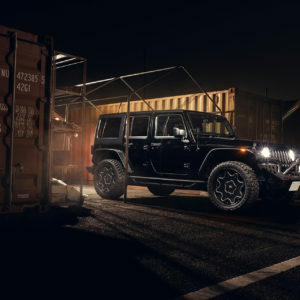 Whether you want to lift it to the sky on the largest tires possible or keep it hovering closer to the earth on more modest rubber, the options are virtually limitless. In Japan, customization is usually taken to the extreme but as proven with this subdued example, not all Japanese builds are wild and crazy. 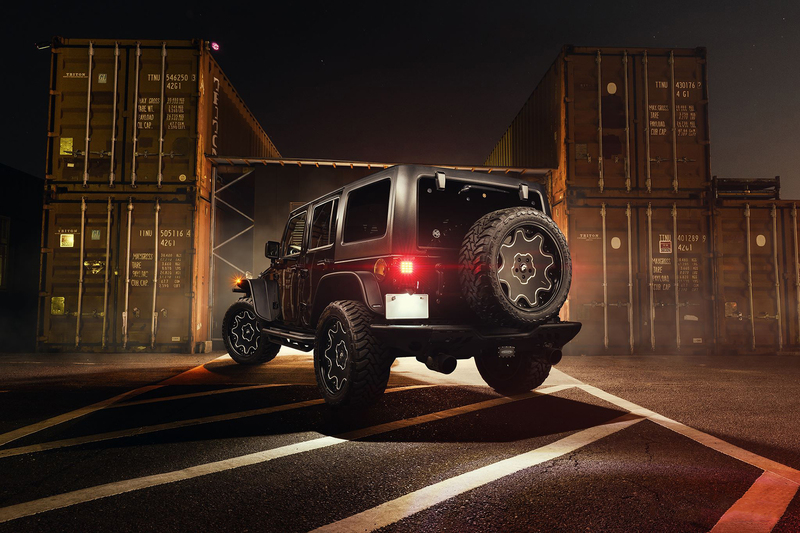 This Wrangler from Forgiato Japan is a modest effort at utility and design. 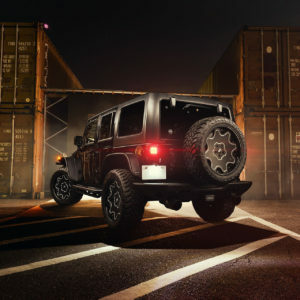 The Jeep is protected by rugged, off-road bumpers and rock sliders on the sides shield the body from rocks and debris. A custom exhaust system gives the rig some growl to match the overall aesthetic. 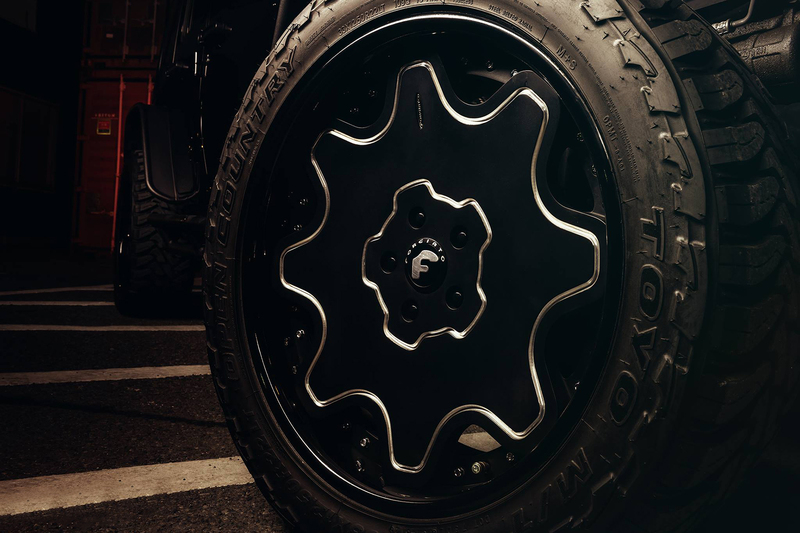 For the footwear, a set of classic 22-inch Forgiato Fiore wheels are wrapped in 35-inch Toyo Open Country M/T tires. 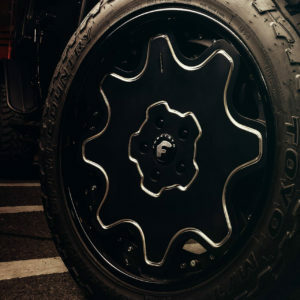 The wheels are treated in a black-and-chrome motif that matches the exterior of the vehicle. 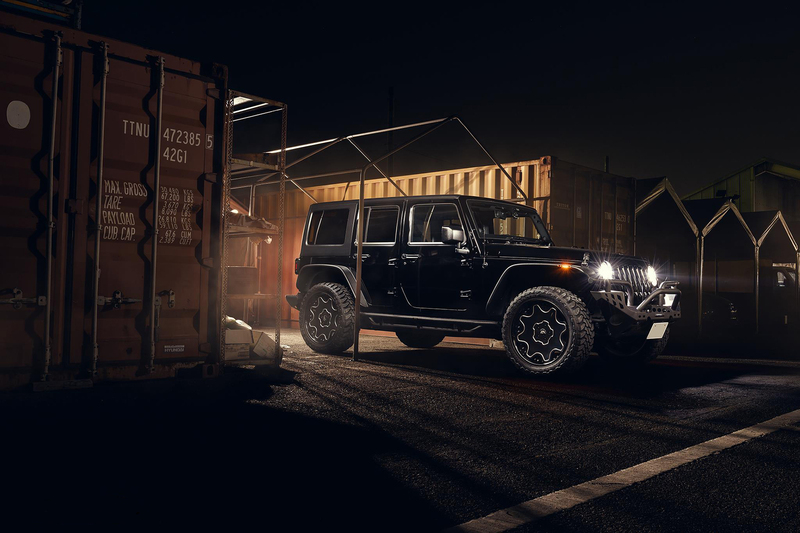 Head over to our Jeep Wrangler gallery for more shots of the famed off-road beast sporting Forgiato wheels!